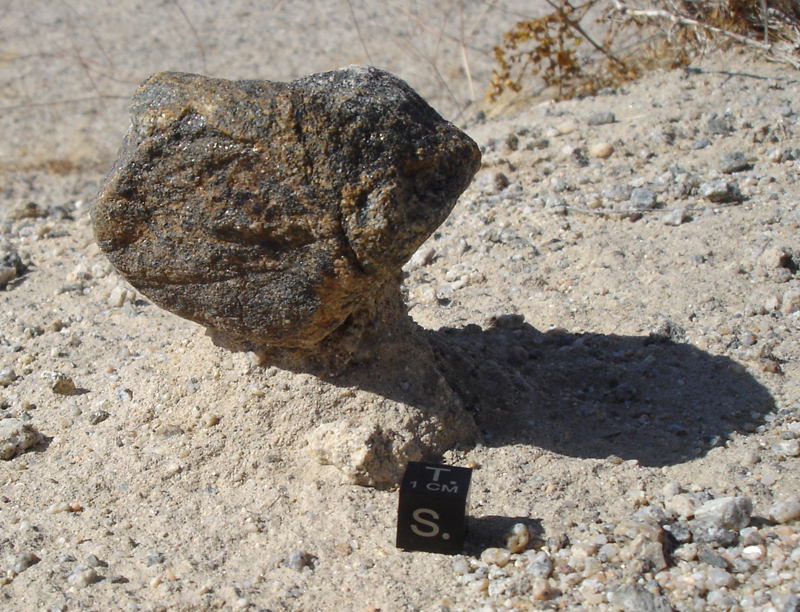 I woke up to temperatures about 20 degrees cooler than the previous two days and thought that it would be a great day to do some meteorite hunting. 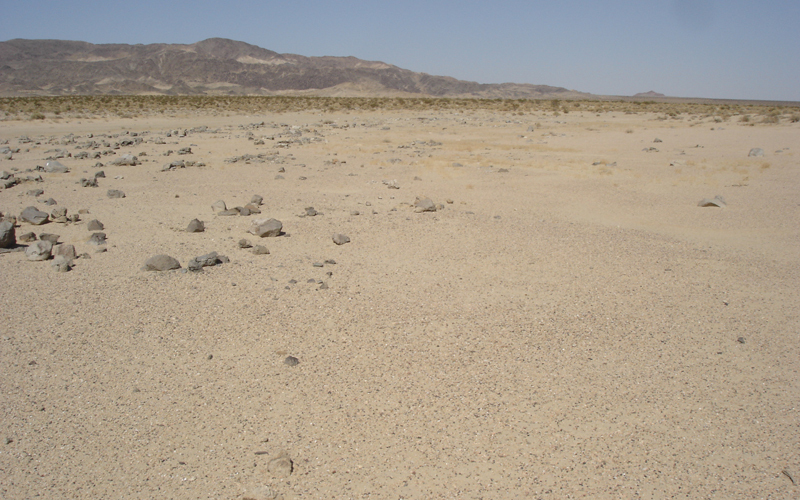 For the day's hunt I picked an area with several dry playas at the base of Alvord Mountain. 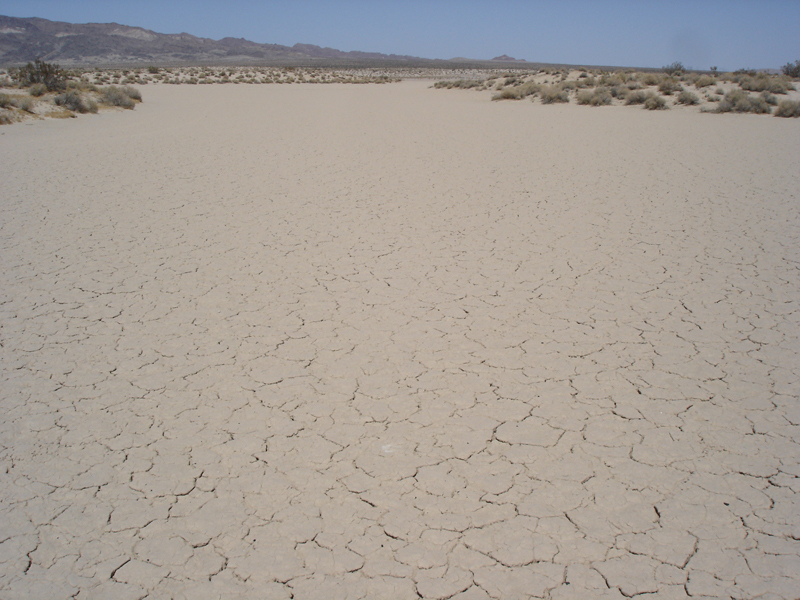 The close proximity of these playas to Coyote Dry Lake gave me hope that there might be some space rocks out there waiting to be picked up. I loaded up my 4Runner and left the pavement behind. 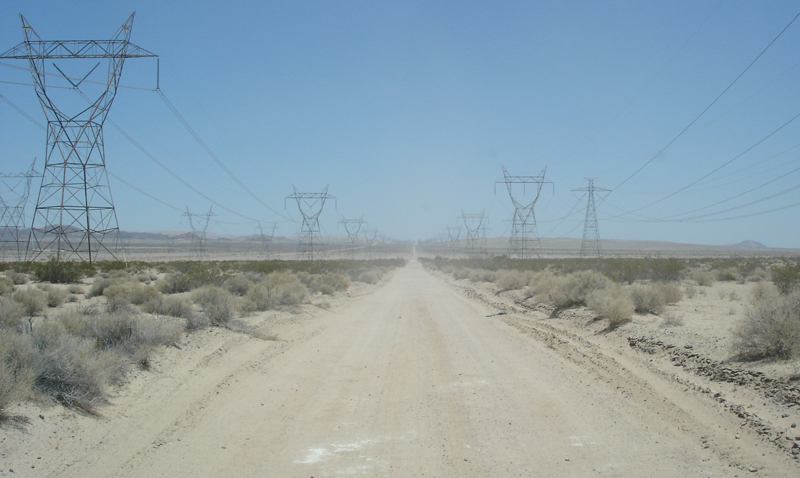 Perspective nicely illustrated on the aptly named Powerline Road. After several dusty miles I arrived at the first mark in my gps I planned to hunt. With the outside temperature reading 105*, I wondered if it had been 20* hotter here yesterday, too? I parked the truck and spent a couple hours looking through the rocks that stranded themselves along the shores. Thankfully there was a constant ~10 knot breeze all day and that really helped with the triple digit temps. Unfortunately the breeze was no relief for this poor fellow. It was refreshing to not see any vehicle tracks on the cracked surfaces all morning; apart from a set of coyote tracks mine were the only ones out there. After a brief lunch I headed to spot #2. En route I saw a huge dust cloud in my rear view. 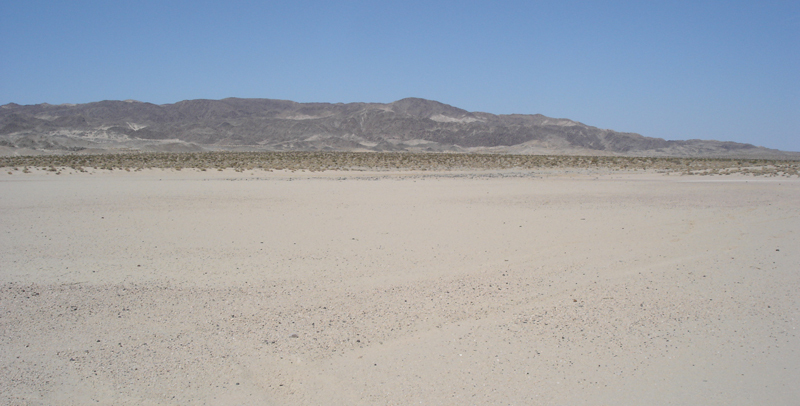 I pulled over to see what could be making so much dust, and a military convoy of about 100 vehicles rolled by me on their way to Fort Irwin. 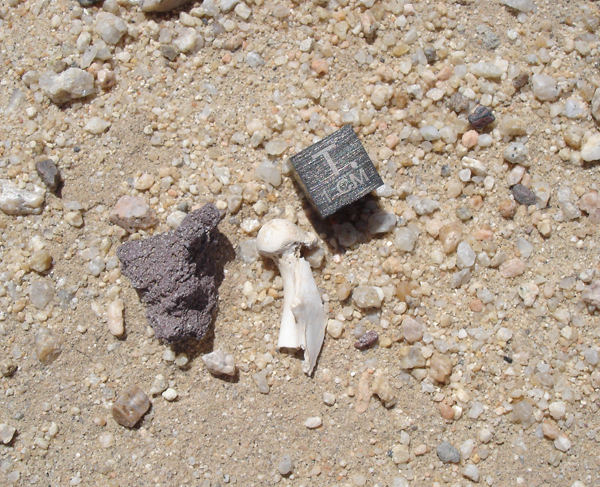 Well away from the road, spot 2 was a playa was ringed with dunes that created little pocketed areas that I hoped had trapped some meteorites for me to find. I believe this is a piece of volcanic breccia. It was sitting just like this as I walked up on it. Great looking rock, it was the coolest thing I found at spot 2. The final hunt spot I wanted to visit for the day was the furthest north. This playa butted right up against Alvord Mountain, and I had planned to hike up the alluvial fan a bit to check it out. 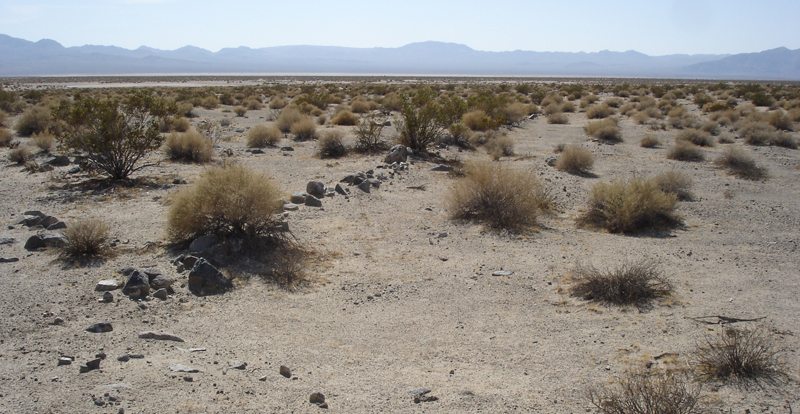 There was a large, granitic rock structure pushing its way up from beneath the desert surface that began to make itself visible in the southeast corner of the playa. 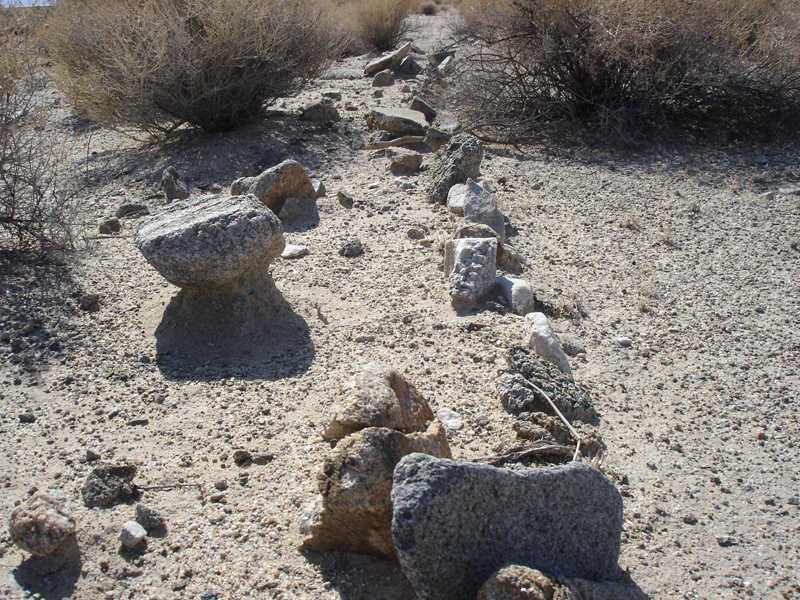 I followed the cobbles and stone outcroppings off the playa and up the alluvial fan for a while. A few weeks ago, in the Bristol Mountains, I found an alignment of rocks that stuck out as odd to me. 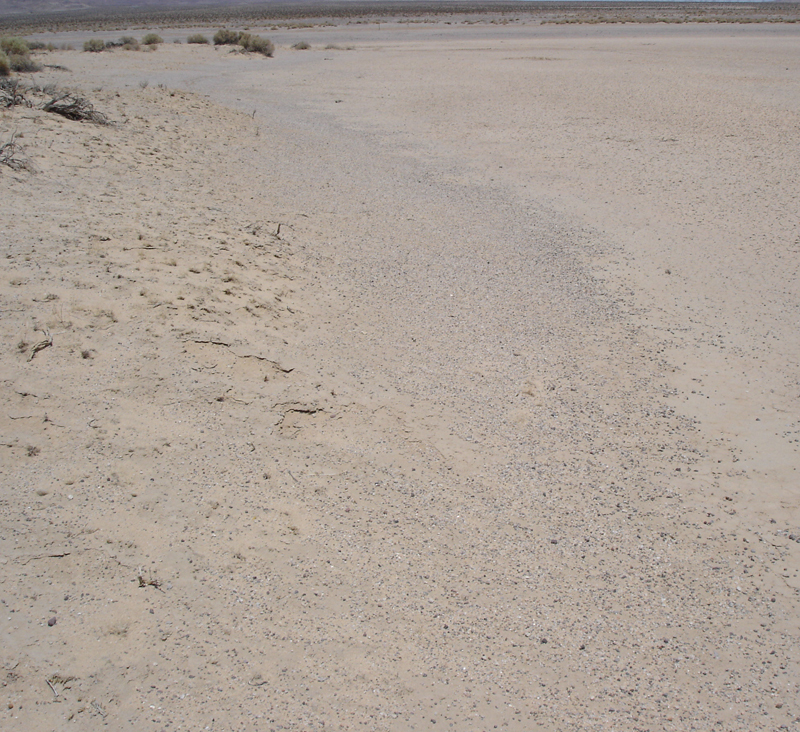 I found several similar rock alignments on this alluvial fan. These rocks formed large, tight parabolas, like the cross section of the leading edge of a plane's wing. I'm thinking some sort of wave action in the sand causes the rocks to congregate as the soil mass slides down off the mountain, and then the rocks become exposed by the wind. 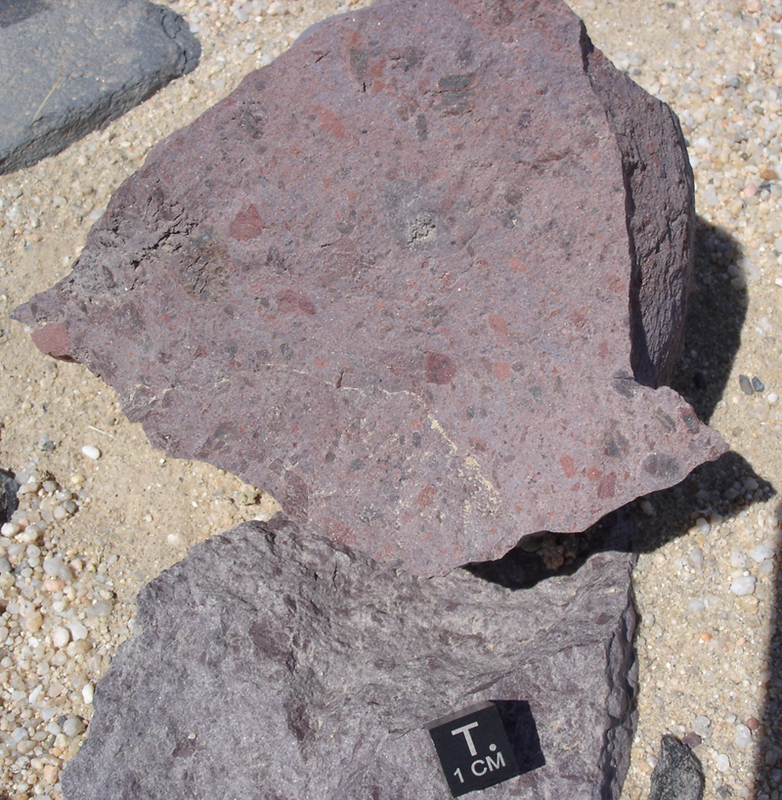 I thought this process might also gather any meteorites that were on the alluvial fan as well, so I checked every rock alignment I came across. The evidence of wind errosion displayed along the rock parabolas was impressive. I headed down off the alluvial fan and back to my truck for some much needed air conditioning. Here's to hoping for a cool summer!